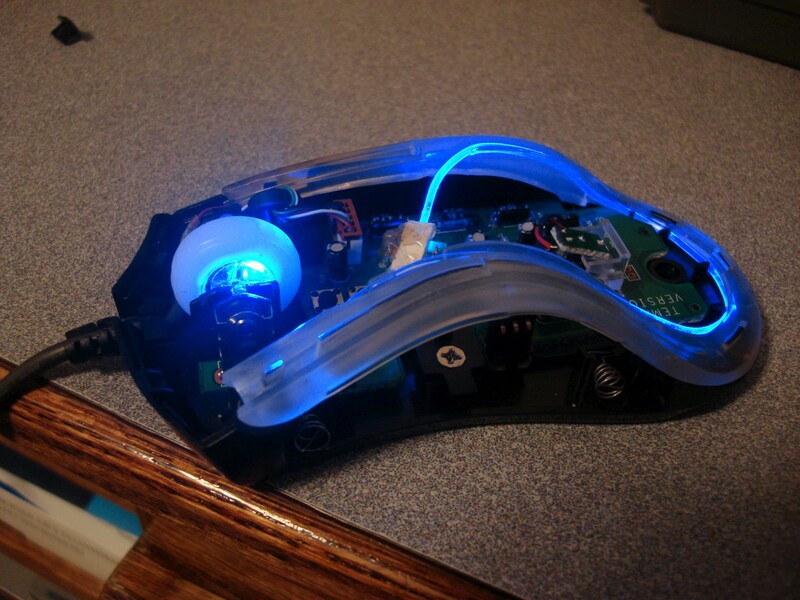 I’ve owned the Microsoft|Razer Habu gaming mouse for about two years now. When I first received it, I discovered the firmware that shipped on the mouse was semi-corrupt and the Habu configurator would not recognize it. I had to flash it with a firmware from a different mouse with different software before I could change any of the DPI settings. It was a huge pain to say the least. 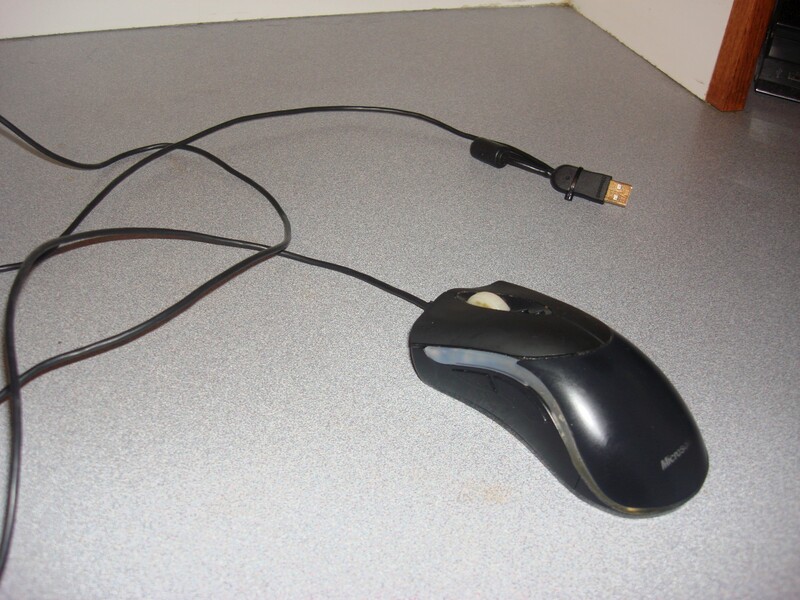 Then, last year the USB cable frayed at the end that connects to the mouse and it would randomly disconnect when I moved. I fixed that. 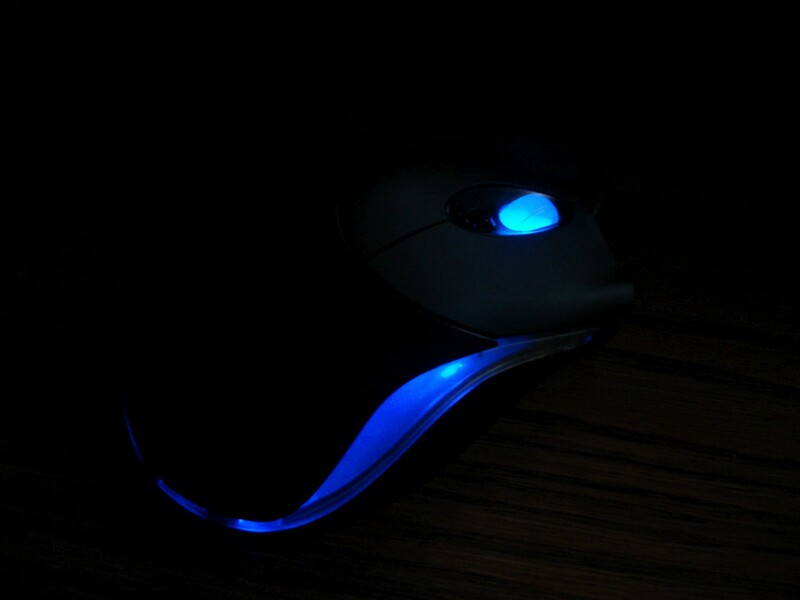 Soon after that the mouse began to double click when I would only be doing single clicks. After a quick Google search it seemed as though a lot of people had this issue. 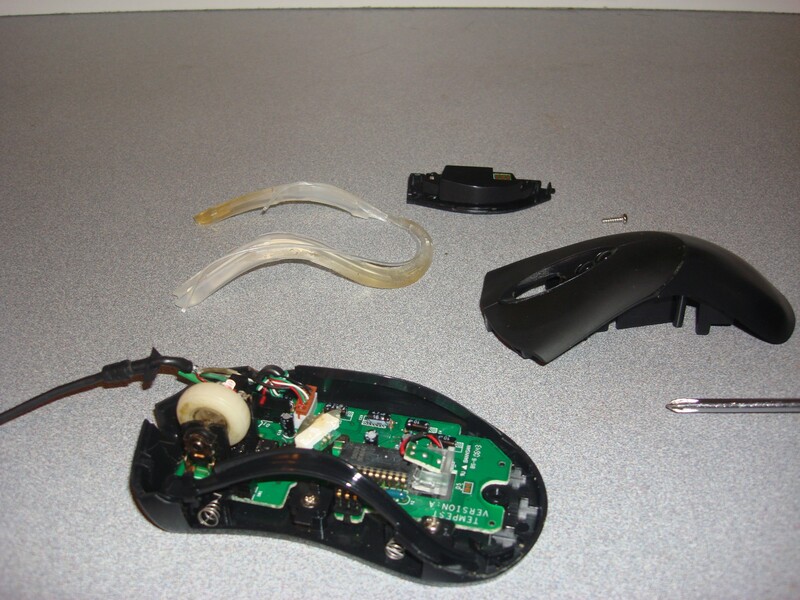 I took the mouse apart and cleaned the button mechanism with a contact cleaner. That did the trick. About five months ago the USB cable began to fray again, this time at the other end with the USB plug. About a month ago the ‘back’ button also began to double click when I would single click. Tonight I decided to fix these last few problems. 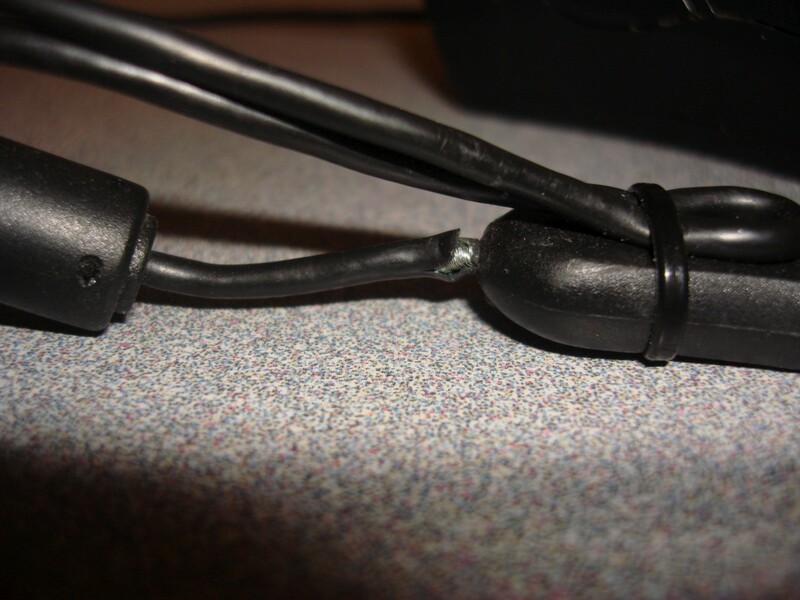 I ‘jimmied’ the cable like that with a tie-wrap back in university because I didn’t have time to properly fix it. Wrapping it like that basically prevented the frayed part from breaking any further. This is the end that is inside the Habu. This is the part I fixed last year. I just cut the frayed part off and soldered it back together. That piece of rubber to the left was the trickiest part. It was molded onto the old broken part of the cable, so I carefully cut it off with a razor blade and then slid it back onto the fresh cable. 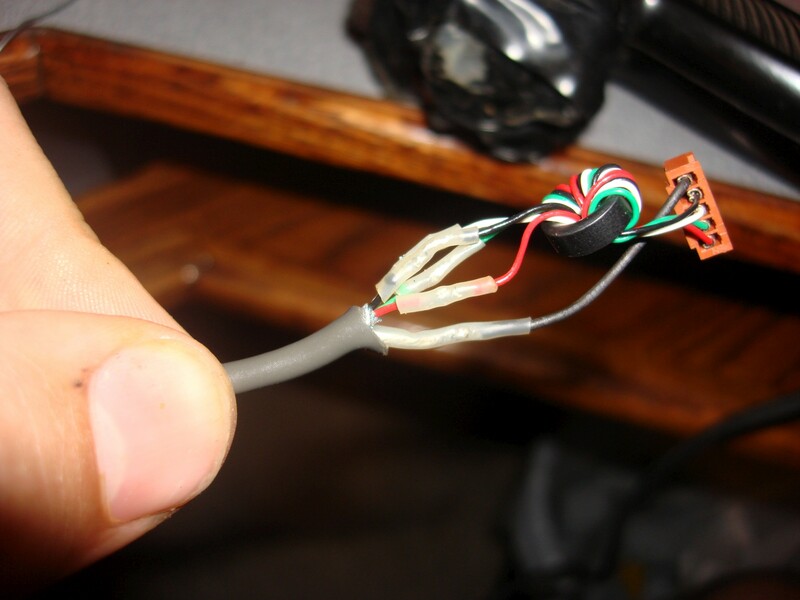 I took a USB cable from an old mp3 player with some proprietary end and cut it off. 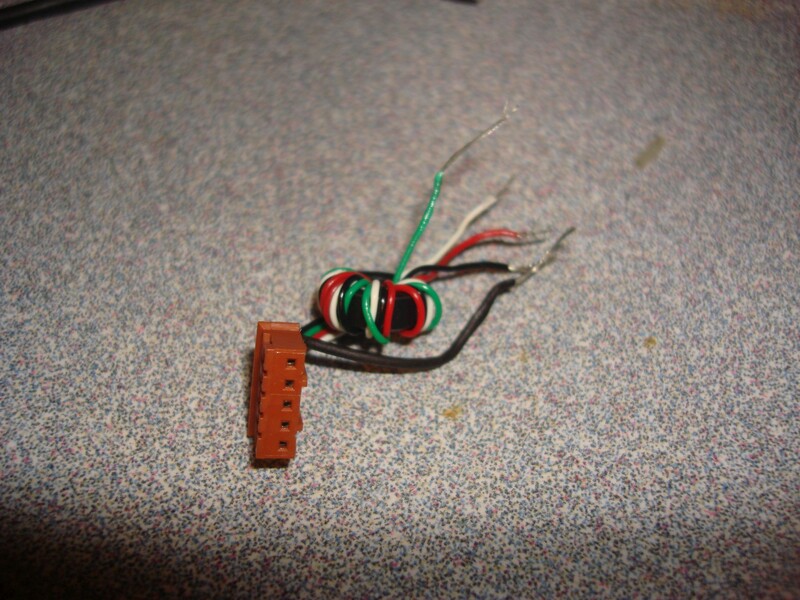 I soldered it back onto the Habu’s internal plug as you can see in the picture above. That clear plastic covering on the wires is heat-shrink. 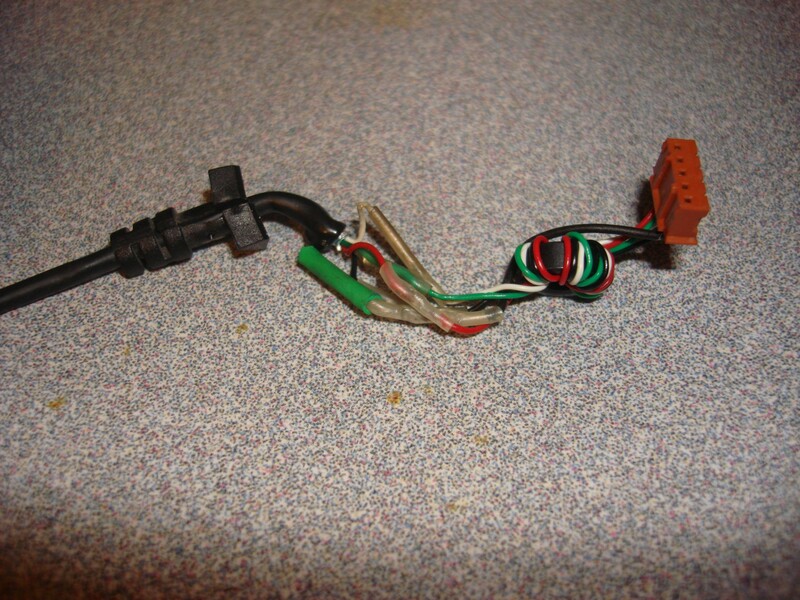 It works just as it sounds; slide it over exposed cable, heat it up, and it shrinks. The new USB cable is slightly thicker than the old one, so that plastic rubber doesn’t fit completely around it but oh well. I also fixed the ‘back’ button afterwords. 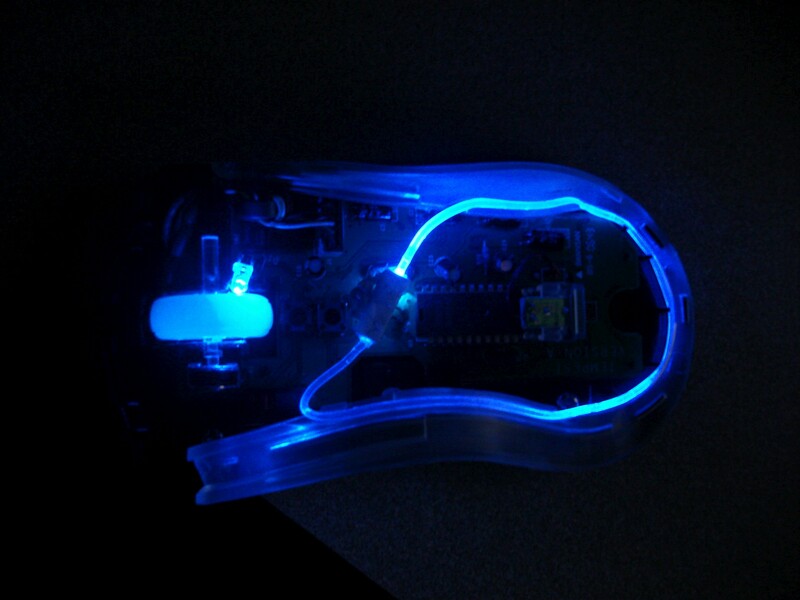 I’ve invested so much time into this mouse I am rather attached to it. I’m looking for a new mouse but nothing seems worthy. I wouldn’t mind if someone gave me a Razer Mamba though. 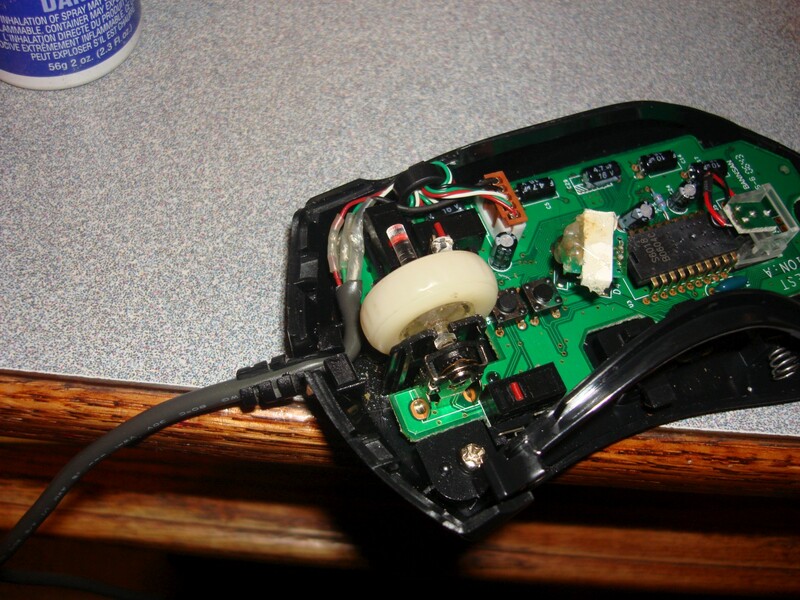 The sad thing is, it took me far longer to make this post than it did to fix the mouse. Thanks for the post. I had hoped to not have to do all that, but it will be worth it. The photos are appreciated! Oh nice, glad my post could be of help.